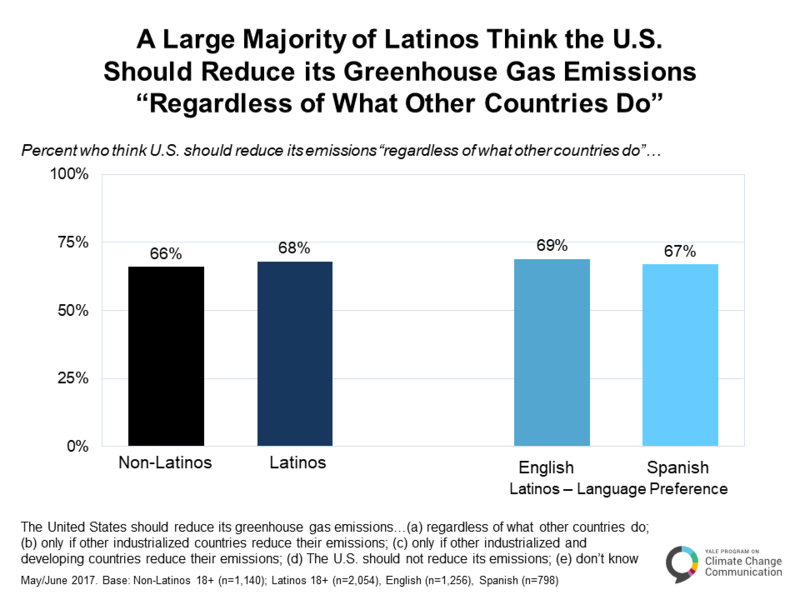 Nearly seven in ten Latinos (68%) think the U.S. should reduce its greenhouse gas emissions “regardless of what other countries do.” About the same number of non-Latinos (66%) also think the U.S. should reduce its greenhouse gas emissions regardless of other countries’ actions. B.1.2. Half of Latinos think the U.S. should make a large-scale effort to reduce global warming. Half of Latinos (50%) think the U.S. should make a large-scale effort to reduce global warming, even if it has large economic costs. A majority of Spanish-language Latinos (57%) think the U.S. should make a large-scale effort. 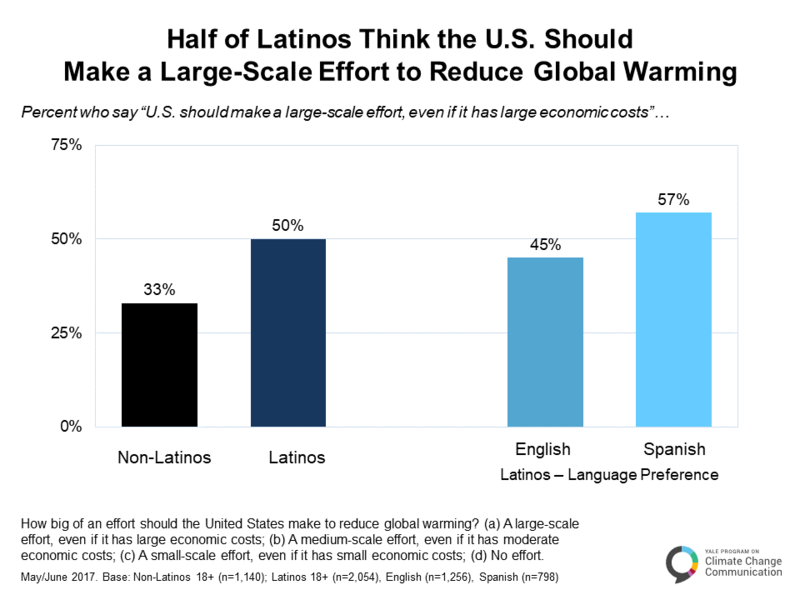 By contrast, only about one in three non-Latinos (33%) think the U.S. should make a large-scale effort to reduce global warming, even if it has large economic costs. Read the Next Section Online B.2. Who is Responsible to Act on Global Warming?